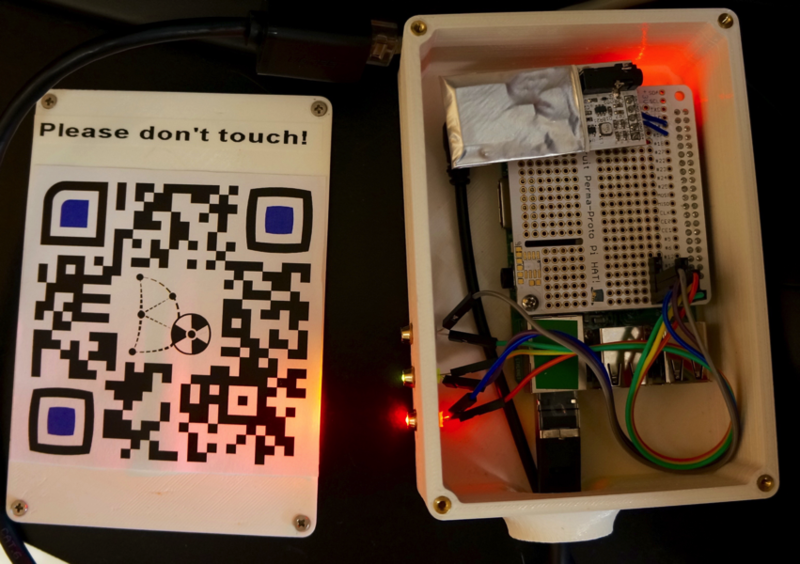 DoseNet – A radiation sensor network connecting UC Berkeley and member schools #piday #raspberrypi @Raspberry_Pi « Adafruit Industries – Makers, hackers, artists, designers and engineers! This network has the potential to continue expanding across California, the US and ultimately internationally. We foresee integrating our dosimeter network, along with any future capabilities such as air quality/temperature monitoring, with other such networks already in use around the United States. These dosimeter devices are simple and cheap, containing three to four basic parts: a raspberry pi, a small dosimeter, optionally a touch screen for direct interaction, and a 3D printed case designed to accommodate these parts. The design includes the possibility to expand on these main components with additional sensors. This flexibility relies on the modularity of our python API for operating the device and the flexibility of the raspberry pi.